Carlos Martinez and his team have worked the property since its inception as a vineyard, and now have over 12 years of experience on this farm. 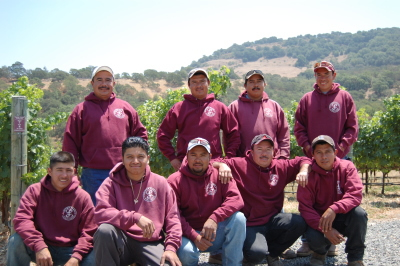 Around the time that the Porters purchased the vineyard, Carlos began his own company independent of the vineyard, and now manages several vineyards in the Coombsville area. He never stops learning all he can about growing grapes and is dedicated to the land and vines he farms.